If you are planning a destination wedding, then you may be wondering which hairstyle is best for you and your bridal party. A classic up-do, natural down-do or something different with a twist are all great options—mix them up for a unique style or have everyone wear the same ‘do for a uniform look! We recently styled the sweetest bride, Rochelle, for her private villa wedding in Los Cabos. 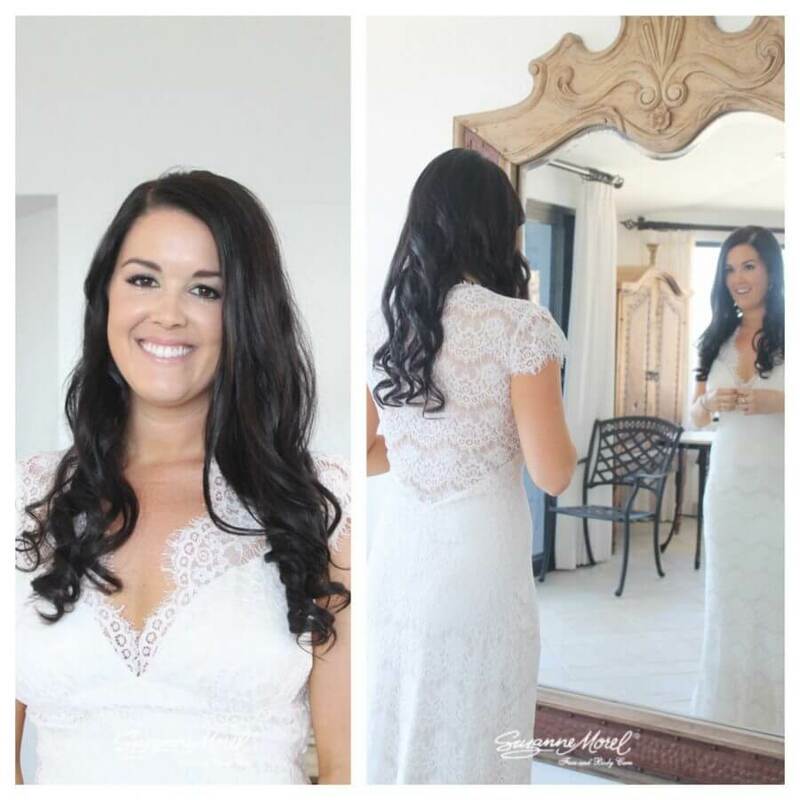 She wore a loose down-do with a gentle curl—a great look for a bride with long dark hair like Rochelle’s! Natural bridal hair has been on-trend this past wedding season, and this bride looked too adorable as she prepared for her ceremony! Rochelle’s bridesmaids wore different styles that were equally lovely! The chignon is by far our most-requested wedding hairstyle, and these three ladies showed just how versatile the bridal chignon can be! We love this classic up-do because it is simple, always looks sophisticated, and you can personalize it to your liking! 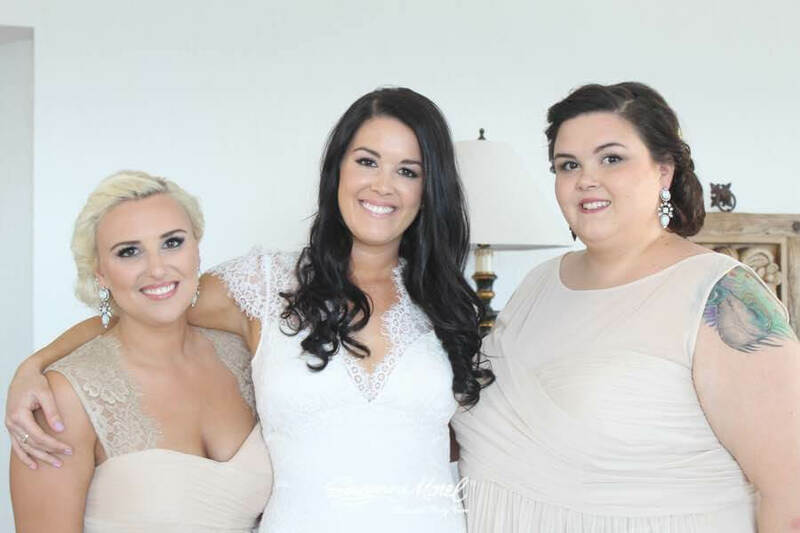 One of Rochelle’s bridesmaids wore her chignon loosely curled under at the nape of her neck—a soft and sweet look that flatters almost every type of dress. 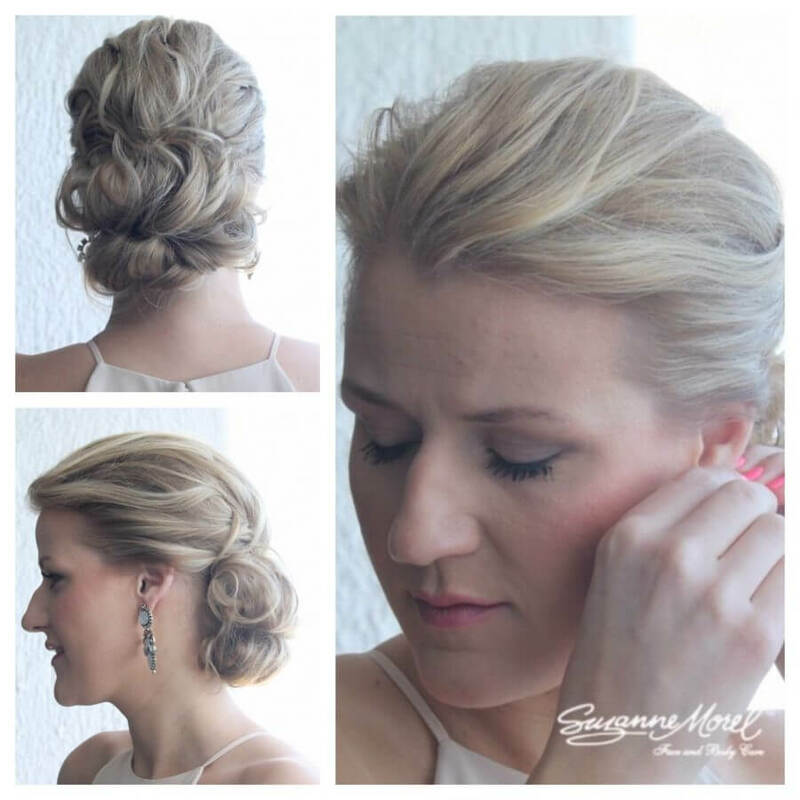 Rochelle’s other two bridesmaids wore a chignon with a side part and a styled braid. 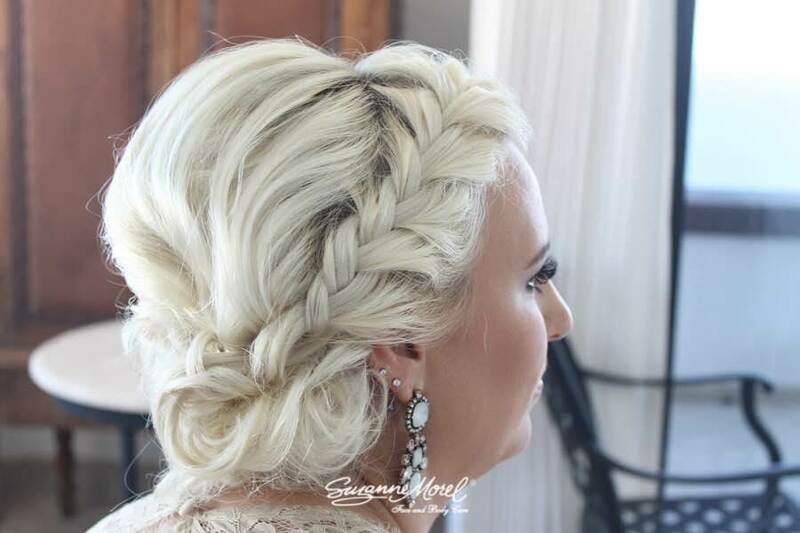 A braid or twist can be a fun way to change up this classic hairstyle, and we love this look for weddings by the beach! We hope the hairstyles featured in Rochelle’s Cabo wedding inspire you to get creative with your own bridal look! 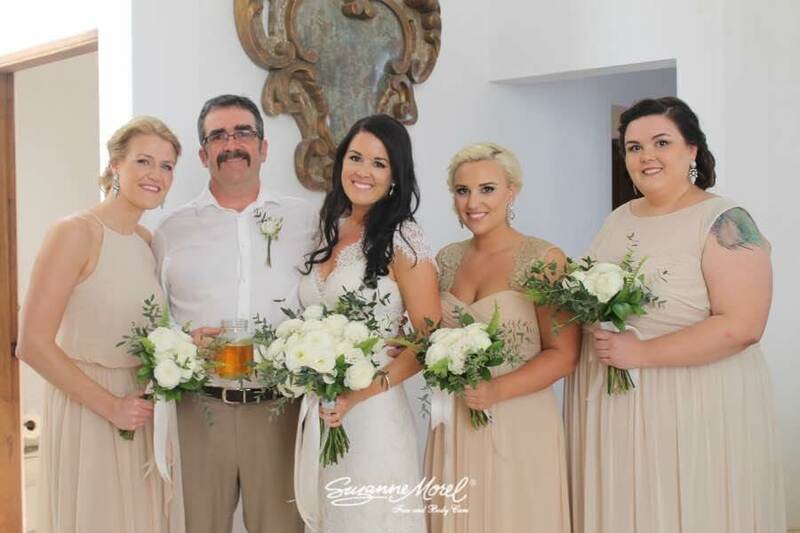 Suzanne Morel Face and Body Care is always available for a complimentary bridal consultation if you have any questions about bridal hair and make-up in Los Cabos! This entry was posted in Cabo Bridal Hair and Makeup and tagged beach wedding hairstyle, best Cabo hair and makeup artist, best destination vendors, bridal hairstylist in Cabo, bridal salon in Cabo, destination wedding hairstyle, destination wedding in Cabo, Mexico destination wedding, planning a wedding in Cabo, private villa wedding Cabo, professional hair and makeup Cabo, real Cabo brides, Suzanne Morel, wedding hairstylist in Cabo.